Another great month for traffic on 4P – 115,439 visits and 210,841 pageviews – both are records. Thanks to those 10 sites and others that send traffic my way. I thought it would be interesting to show the percentage of visitors by country. Len Penzo is one of my favourite reads recently – he’s a great writer and quite funny. Check out this family-oriented taste test to determine how store brands compare to brand name goods. Thicken My Wallet had an interesting 2 part post on an issue that Mom2KG had when buying a house. Turns out there was an oil tank buried in the backyard – who knew? I find it interesting that she thought the real estate agent really stepped up to help. The fact is that the agent doesn’t get paid until the house deal closes so if something happens to put the deal in jeopardy – you can bet they will do everything they can to make it happen. Part 1 and Part 2. Million Dollar Journey aka Kathryn has some tips for using Kijiji or Craigslist. Canadian Capitalist covers the cost of a future university degree. 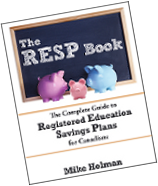 This tied in well with my post this week on RESP – withdrawal of contributions. The Intelligent Speculator looks at the charts for ValueClick (VCLK). ABCs of Investing explains how to calculate capital gains and losses. ABCs of Investing outlines the “bottoms up” investment method. Thanks for the link. Glad you enjoyed the article. Thanks for the links Mike and congrats on the big traffic numbers! Oh my gosh. Thank you so much for the kind words! I am truly very humbled.